Reading: What has been your favorite book (or books if you can’t pick just one) that you’ve read this year? 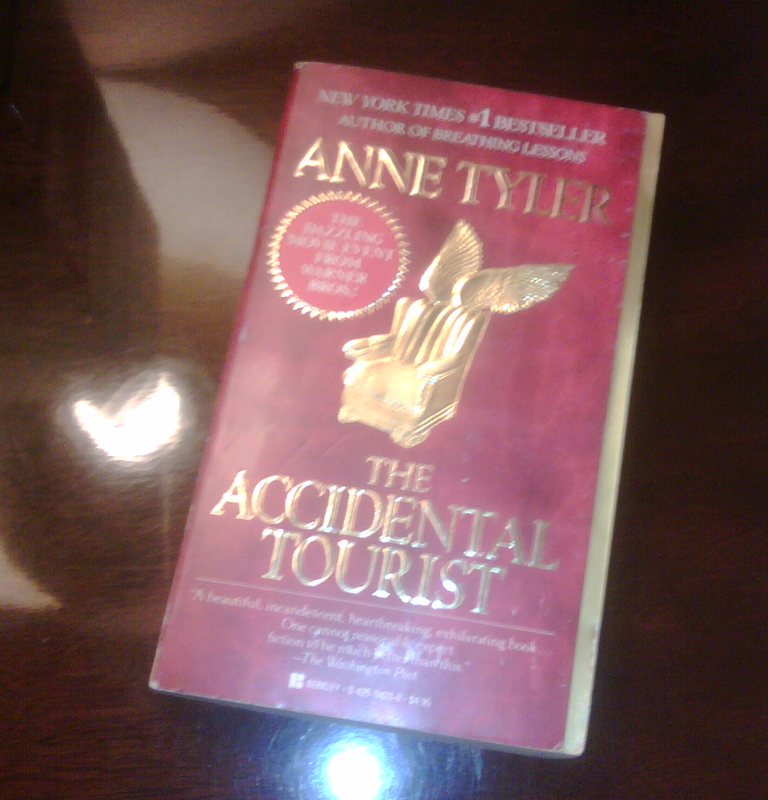 It has taken me 23 years, but finally this week, I finished The Accidental Tourist by Anne Tyler. My only excuse for taking this long is that I made the mistake of going to see the movie before I finished the book. I’ve carried the book with me across the decades, always knowing I would pick it up again someday. The book moved from rented rooms to apartments to our first and second homes. It’s always been on the bookshelf, even when the bookshelf was made of milk crates. It’s called to me recently, this story of Macon Leary, a writer of travel books who hates to be away from home. His books tell businessmen how to be on the road while maintaining all the comforts of their home life. Macon and his family strive to turn the volume down on their lives in order to live as risk free and as efficiently as possible. Their aversion to risk separates themselves from the world and to a certain extent each other. I started reading the book again on a recent trip to Virginia. It was funny to be on a plane for business and read about how to travel in a bubble. If you know me, that’s not my style. I do recognized how easy it can become in modern life to get into a rut; to try to make life as simple and efficient as possible. There is a danger in turning down the volume on life. It certainly makes the pain less painful, but it also makes the joy less joyful.